As a business owner or manager, you may think that if you want things done "the right way," you have to do them yourself. But that isn't always the best approach at work, even if you firmly believe you're the best person for the job. There simply isn't enough time in the day – not if you have a business to run. * Get organized. 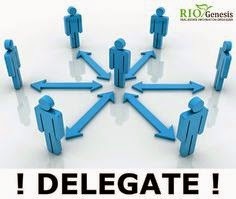 Start by deciding which tasks to delegate and which employees will be assigned responsibilities. The workload doesn't have to be etched in stone, but you should develop a game plan for subdividing jobs. * Focus on self-starters. You will need to rely on people who can think for themselves. Don't rely on employees who you anticipate will be constantly seeking your guidance. If you have to show someone what to do every step of the way, it defeats the entire purpose. * Give workers authority to act independently and make decisions on the fly. Don't hinder the process by requiring employees to obtain your approval on every decision. This will only turn into a variation of doing things the same old way. * Monitor work progress. This aspect must be handled with sensitivity. You'll want to keep an eye on employees, but you can't keep looking over their shoulders either. Find the proper balance. * Analyze the results to determine if the work met your expectations. If it didn't, offer constructive criticism for improvements. Make this a learning experience for both of you. During the tax year you must prepay a substantial amount of the taxes you'll owe for that year, or you risk being hit with an underpayment penalty. If you're an employee, that's usually not a problem. Your employer will withhold taxes from each paycheck. You can adjust the amount withheld so that it covers your total tax bill, even if you have extra income from moonlighting or investments. But if you're self-employed or retired, you might need to make estimated tax payments. To avoid a penalty, the total of your withholding and estimated tax payments must generally be at least 90 percent of your tax liability for the year, or 100 percent of your last year's tax liability. There's no penalty if your underpayment is less than $1,000. Special rules apply to farmers, fishermen, and higher-income taxpayers. You pay your estimated taxes by making four payments, due in April, June, and September of the current year, and in January of the next year. You can't just wait until the last date to pay what you owe. You must start paying estimated taxes as you earn taxable income. You can either pay all the tax you owe on each quarter's earnings, or you can pay it in installments over the remaining periods. But you must be sure to pay enough to avoid an underpayment penalty for each period. Again, special rules apply to farmers and fishermen. you could be about to lose out on a nice refund check. The IRS reports that it is holding an astonishing one billion dollars in refunds from the year 2011. Here's how the situation arose. Nearly one million filers, many of them students and retirees, had taxes withheld from their earnings that year but didn't bother to file a return. That was quite legal if they didn't earn enough to reach the minimum income for required filing. And in many cases they forgot that taxes had been withheld and that they were eligible for a refund. For example, a student might have worked at a summer job, gone back to school in the fall, and not given taxes a second thought. If you think you are due a refund for 2011, it's worth filing a return. 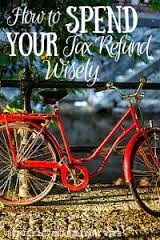 The IRS estimates that around half those who are eligible would receive refunds of over $1,000. In some cases, you could find you're eligible for even more than the refund. If you were a low-income worker that year, you might also have qualified for the earned income tax credit. But you'll need to act fast. 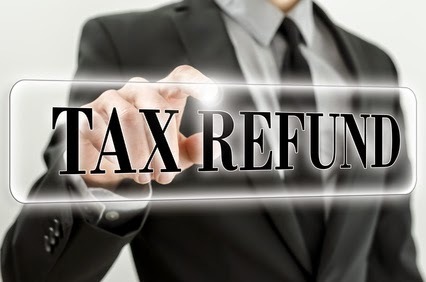 Unless you file a year-2011 return by April 15, 2015, the statute of limitations will have run out and you'll be too late to claim your refund. Be aware that the IRS won't issue a 2011 refund check unless you've also filed returns for years 2012 and 2013. And if you owe taxes for those years, they'll deduct that from the amount of the 2011 refund. Contact our office as soon as possible if you think you might be due a 2011 refund. The "tax extenders" legislation that became law in December included the "Achieving a Better Life Experience Act" (also called the ABLE Act). This law provides for tax-exempt accounts that can help you or a family member with disabilities pay for qualified expenses related to the disability. These "ABLE accounts" are exempt from income tax although contributions to an account are not deductible on your federal income tax return. ABLE accounts are generally not means tested and some can provide limited bankruptcy protection. 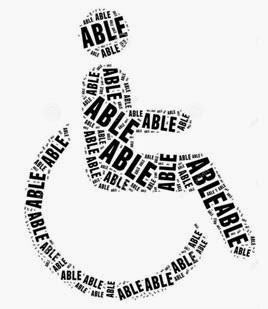 Distributions exceeding qualified disability expenses are included in taxable income and are generally subject to a 10% penalty tax. Distributions can be rolled over to another ABLE account for another qualified beneficiary and beneficiaries can be changed between family members. 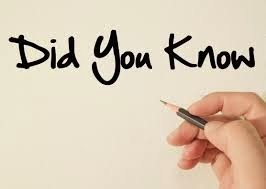 Funds in the account can earn interest or dividends and are not subject to federal income tax as long as distributions are used for qualified disability expenses. ABLE accounts do not have a "use it or lose it" feature and funds can carry over to future years. The balance remaining in the account after the beneficiary passes away can be used to reimburse state Medicaid payments made on behalf of the beneficiary after the account was established. The remainder goes to the deceased's estate or to another qualified designated beneficiary. After-death distributions that are not used for qualified disability purposes are subject to income taxes, but not the 10% penalty. If you are thinking many of these rules sound familiar, you're correct. ABLE accounts are modeled on 529 college savings accounts and can be as powerful and beneficial. 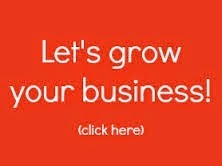 Give us a call so we can help you make the most of this new opportunity. Here's another filing deadline that might apply to you: April 15 is the due date for filing 2014 gift tax returns. If you made gifts last year in excess of the $14,000 annual limit to any one individual, you may need to report the transaction to the IRS. If you and your spouse agree to "gift-splitting," you could give up to $28,000 to any one individual with no gift tax liability. 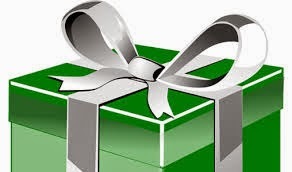 However, gift-splitting requires that each of you file a gift tax return. If you can't file your 2014 tax return by the April 15 deadline, file for an extension to get until October 15, 2015, to file. 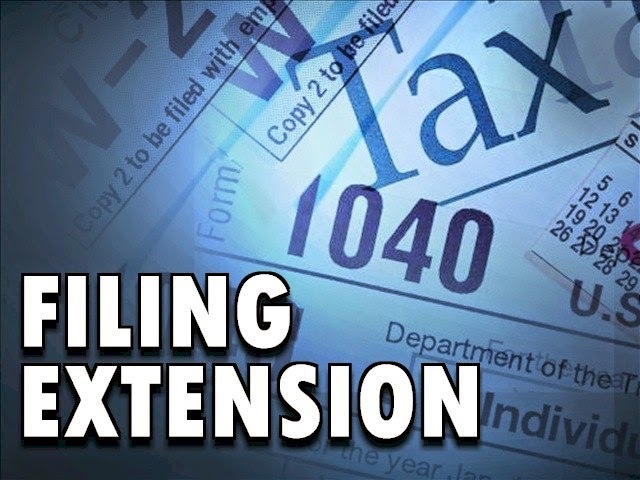 You can request the extension on paper, by phone, or online. You don't need to explain why you need more time, but be aware that an extension doesn't give you more time to pay taxes you owe. To avoid penalty and interest charges, taxes must be paid by April 15. 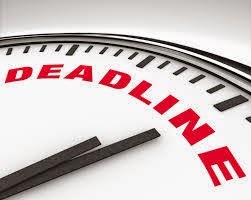 If you are involved with a tax-exempt (nonprofit) organization, be aware of this approaching deadline: An annual report must be filed with the IRS on the 15th day of the fifth month after the organization's year-end. 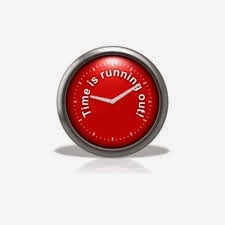 For calendar-year organizations, the deadline for 2014 reporting is May 15, 2015. Organizations with gross annual receipts below $50,000 can file an e-postcard rather than a longer version of Form 990. 50% bonus depreciation is no longer allowed for business equipment purchases, including vehicles. Here's a quick review of the adjustments for 2015. The 2014 first-year depreciation limit for light trucks and vans is $3,460. Limits for year two are $5,600, in year three $3,350, and in each succeeding year $1,975.